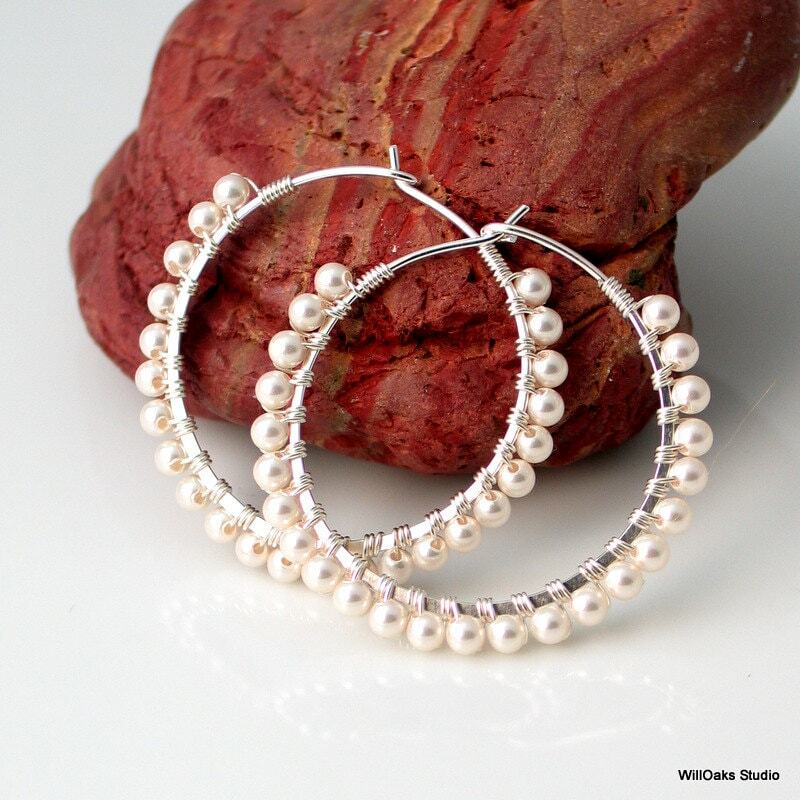 Classic, everyday and elegant, too, Swarovski crystal pearls bound with fine silver wire all around hand forged sterling silver hoop earrings. 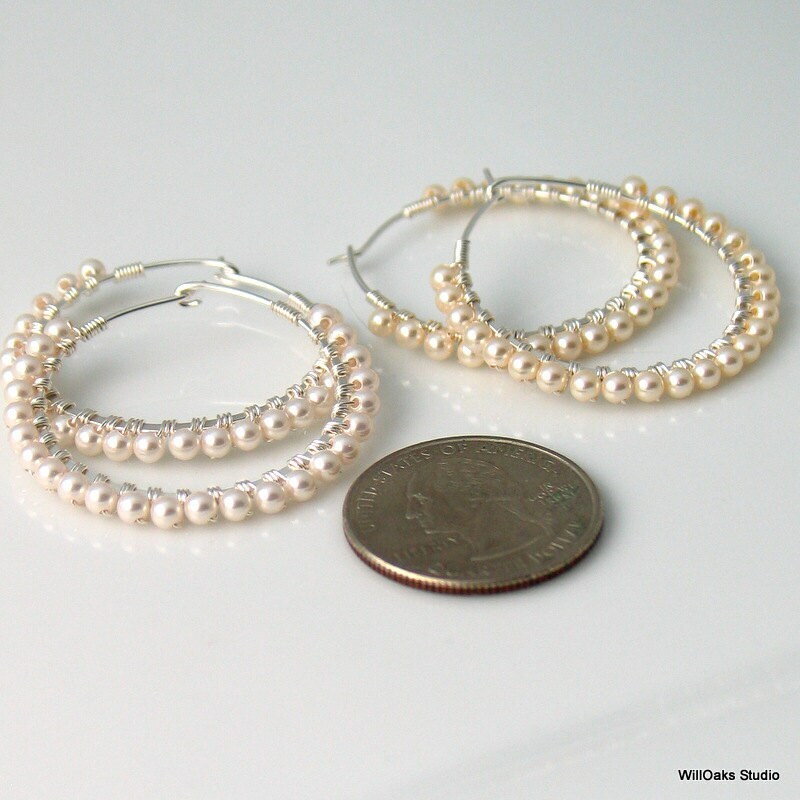 Sturdy yet dainty looking, less than 1 1/2" (37 mm) outer diameter and 1 1/8" (29 mm) inner diameter. 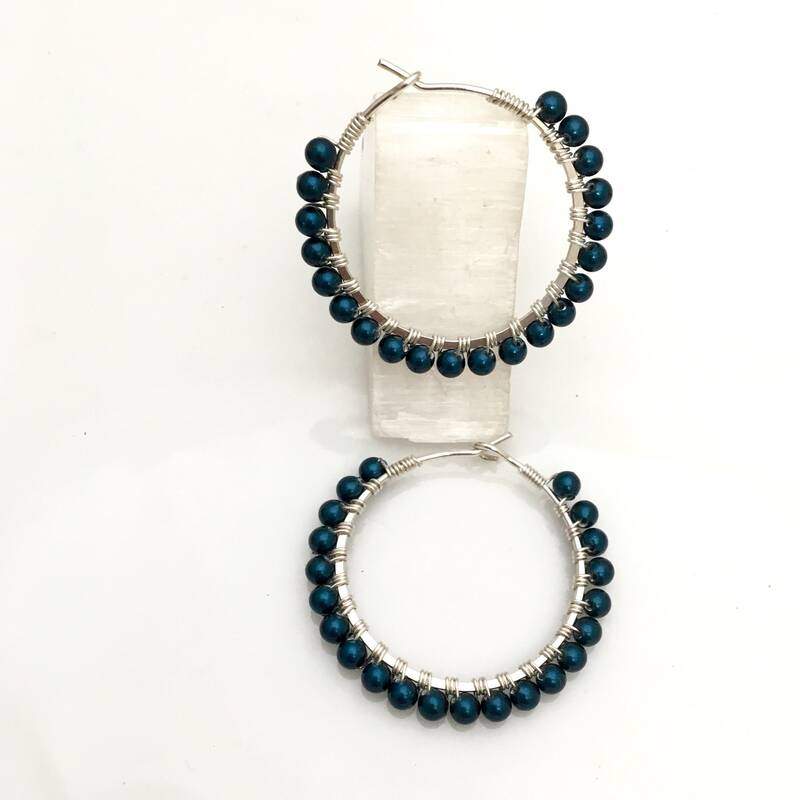 Made to order, these hoops, available in white, ivory white, and “petrol” (a deep teal toned blue) can also be made in 14-20 gold-filled metal-not shown, select at checkout. 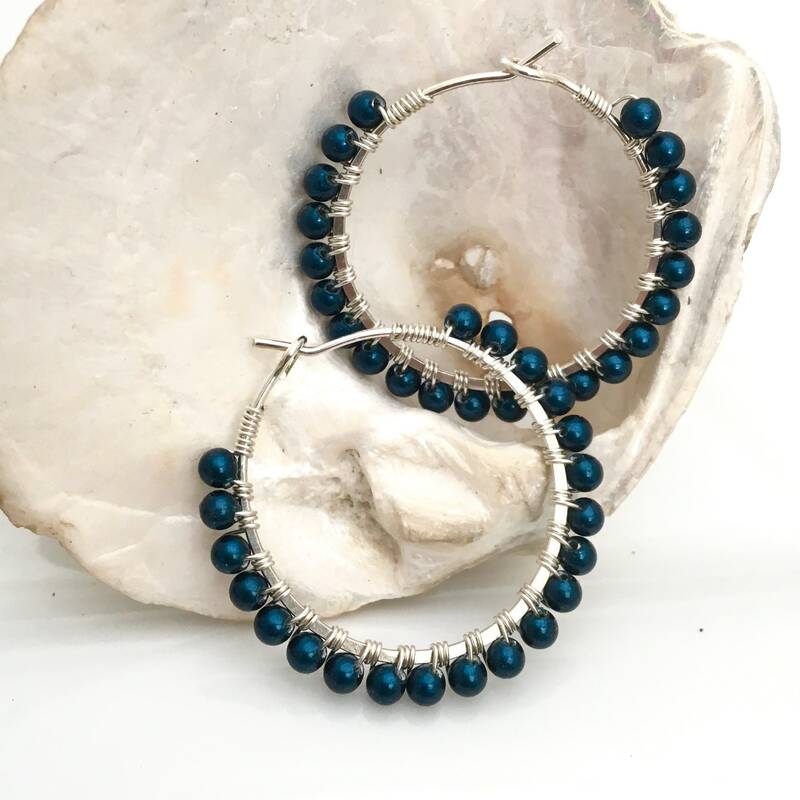 June birthstones and never out of style, sterling hoops wrapped with fine sterling or gold-filled wire to capture a row of small, 3mm elegant Swarovski crystal pearls. Easily go from casual to business to formal. Excellent for wedding wear. 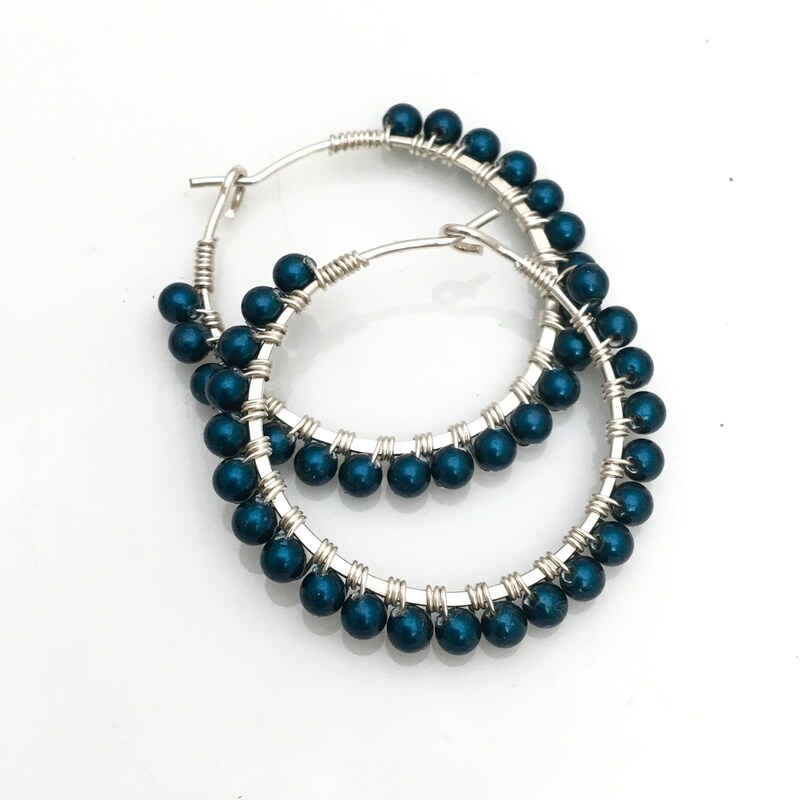 These hoops are made to order in white, light ivory white, or deep teal blue crystal pearls. 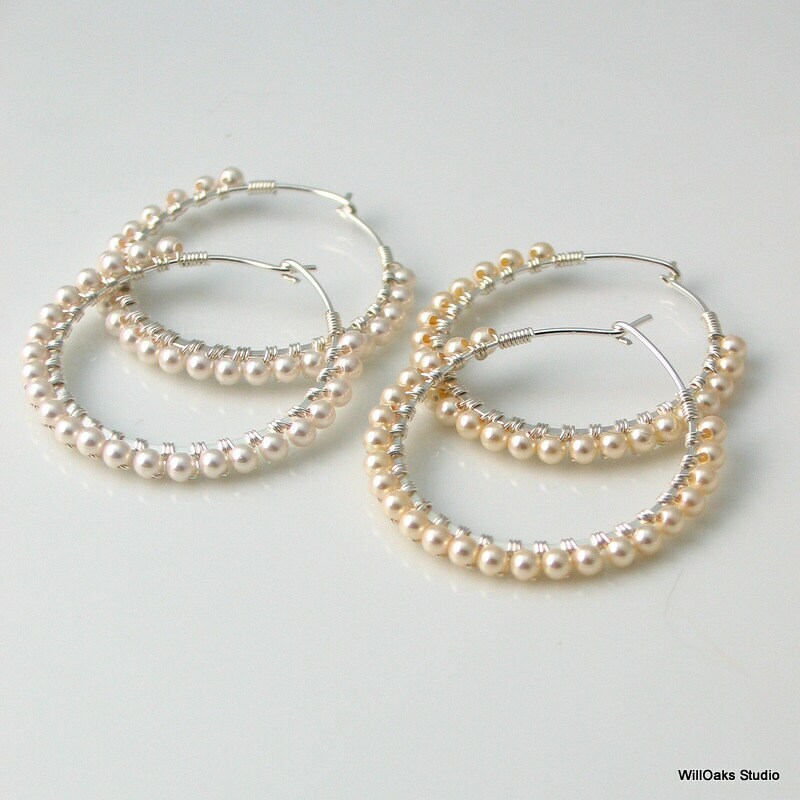 Many other Pearl colors are available as custom orders, just contact me via convo. 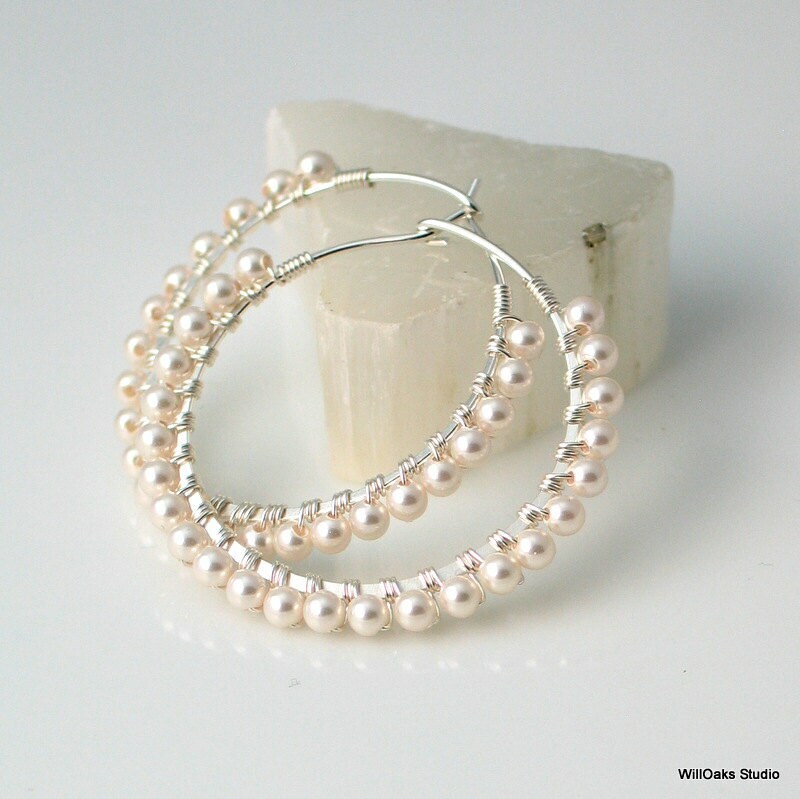 WillOaks Studio earrings are presented in my signature gift boxes or velvet bags for giving and for storage. 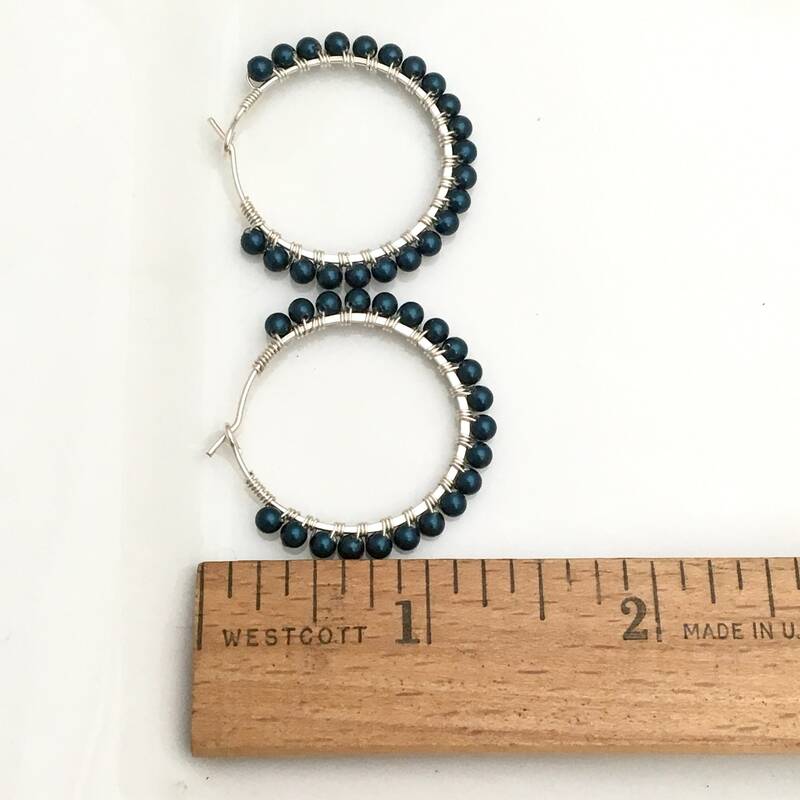 Earrings are so pretty and were shipped very quickly! I love, love, love the beautiful earrings. Thank you. The earrings are very elegant and beautiful, even better in real life than I expected. 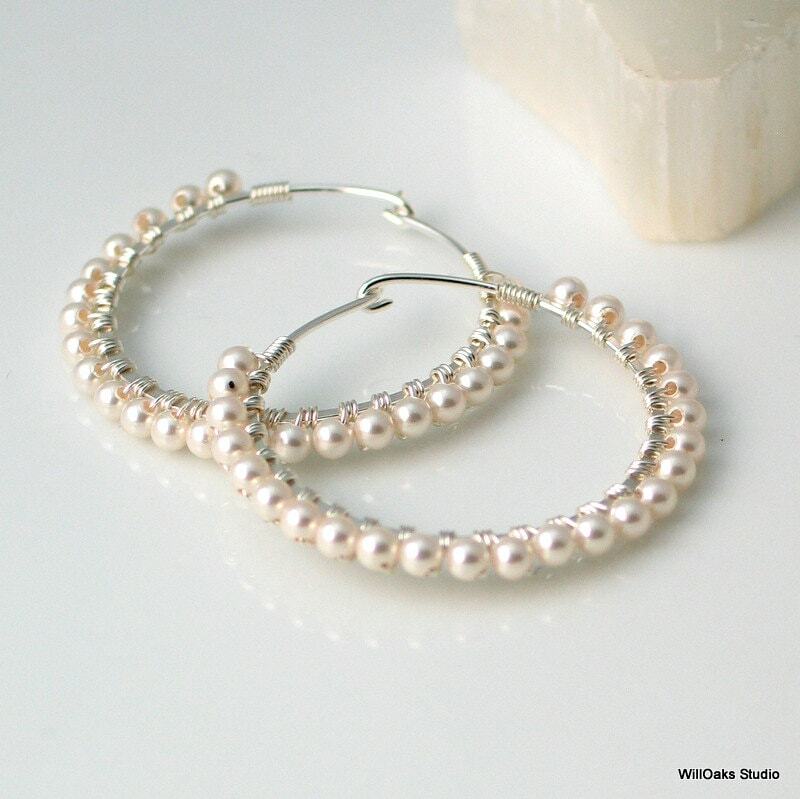 I was worried the pearls would look kitschy, but I couldn't have been more wrong. Kudos to the creator for a beautiful piece! The seller did an excellent job wrapping the order carefully and sending it in a very timely fashion. I fully recommend the store!